In stock 157 items in stock. Has anyone ever measured the number of lumens output by these? Also, what would the ideal power supply be? Sorry if this is a silly question but what resistor would I need for this? The maximum current for these resistors is 20mA, so you will need a resistor that drops the current to under 20mA. Check out this tutorial on calculating the resistor. Usually we use 330 ohm resistors around here with 5V circuits which gives plenty of margin. As for a power supply that depends on what you are trying to do and is usually more dependent on the rest of your circuit. If you are just powering a few LEDs you can use a coin cell battery (the Lilypad Battery Holder is a good option). If you are doing more I'd look into 5V wall warts, Lithium ion batteries, or a USB power source since it is a pretty steady 5V source. You can also look into AA or AAA batteries, but since they are only 1.5V each you will probably want at least 2 or some sort of boost circuit. 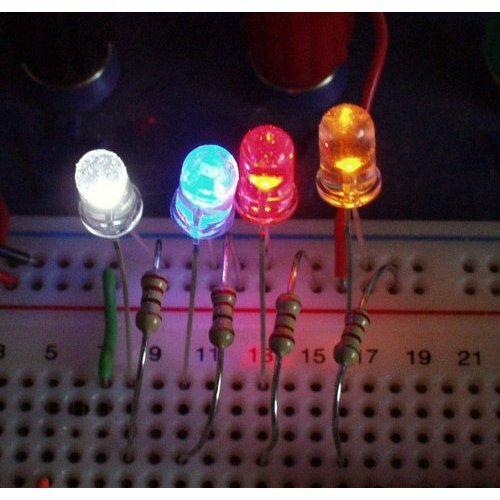 Ate these the LEDs used in the 5v - 3.3v powe supply kit??? Yes, this is the LED used in that kit. Man I can't even afford to provide one tech freedom fighter with an ample amount of these at $,95 each. Voy a luchar para dar mi pueblo, los productos electrÃ³nicos asequibles misma calidad. Check the recommended products section, we also sell these in 25 and 100 packs for a bit cheaper. I am building a led light panel to be used as a softbox for my home photo studio. 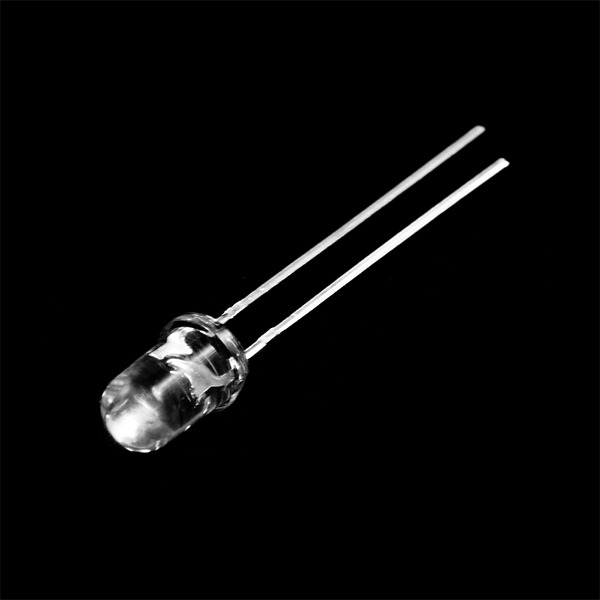 I am needing a lot of super bright LED's. I do realize It will take MANY LED's to complete the panel. I need other opinons as to this being the LED I need or is there a better brighter LED that I should consider for this project. Has anyone ever built one or something similar? If so are there specs, tutorials, or schematics somewhere online? I do have an electronics background as a service technician, not an Engineer so I don't think I will have any problem with the build. Thank you all in advance. While I don't have any specific suggestions for an LED, given that you are building a softbox, one thing to keep in mind is that the LEDs on this product page have a very, very narrow viewing angle (spikes from the optics aside). 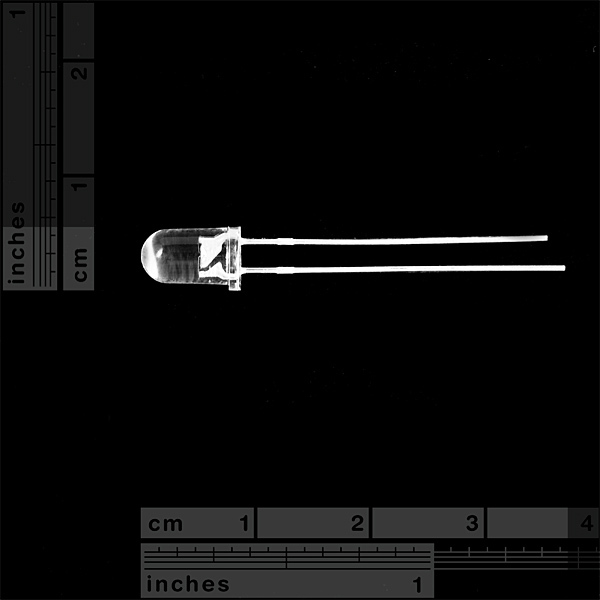 According to the datasheet, the 50% intensity angle is at 10Â° (see also the last product picture). Ideally you'd want that to be as wide as possible, so that you have to do as little as possible on trying to diffuse that out. If you've got some nice diffusers or some leftover lambertian reflectors you could try pointing the LEDs in the other direction and letting the bounced light illuminate the scene. That should be fairly diffuse, though you'll always lose a chunk of the original brightness that was constrained to that 10Â° angle (one common way the numbers 'cheat' you). 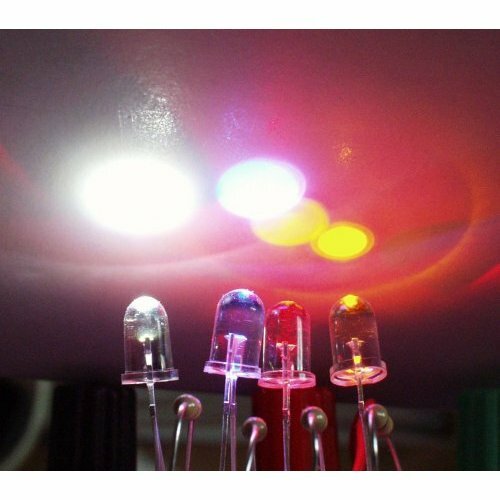 Alternatives would be to use diffused LEDs - but they tend to be fairly weak, or SMD LEDs - unless they're lensed, they have an almost 180Â° spread. The very small ones tend to be fairly weak as well, though - and they're not super user-friendly. The https://www.sparkfun.com/products/12015 on the other hand, is. It doesn't say how bright that is, so might want to ask there if that product piques your interest. And, if it does, you may also want to check out the white version (can always use gels to give it whatever color you like), or even things like the RGB LED strips or, even more bang-for-the-buck, the https://www.sparkfun.com/products/12661 so that you can change the color on the fly. You'd have to mount those relatively close to the front cloth simply because they take up more space than a few 5mm LEDs together. Lastly, there's the Triple Output High Power RGB LED. These are very bright, have a wide angle, and are relatively small so that they should fit in the back of the cone.. where you'll want to mount a heatsink as these things do tend to get rather hot. On page 2 of the datasheet there is semicircular graph depicting viewing angle. I didn't see any kind of units for the curves that range from 100-0-100 in increments of 25. Can anyone clarify what units are being used? The way I read that figure is the viewing angle changes depending on your distance from the led with 50 "somethings" yielding a 20* viewing angle. Is this cm, m or other? Thanks! It's a rudimentary photometric diagram which, admittedly, does lack the exact information you seek. However, the measurement along the horizontal axis (which is the same along the semicircle arcs) is the luminous intensity. Instead, the line through the diagram tells you the luminous intensity at that viewing angle. So in the diagram in question, straight out of the lens it is at 100 'something', while at a 10 degree angle (either which way and assumed to be radially symmetric) it is 50 'something'. From that, in combination with the 'viewing angle' being specified as 10 degrees, it seems reasonable to conclude that what they meant is a percentage. What it is a percentage of (e.g. whether the 9cd figure is total/OTF or peak or...) I can't readily surmise from the datasheet (I might have glossed over it too quickly, though). 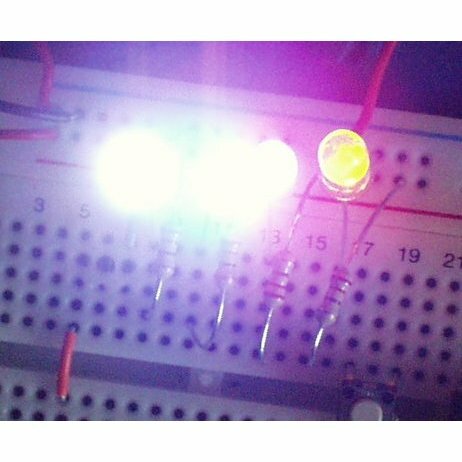 Why does the data sheet say that all of the led colors use 3.2 - 3.4 volts when this one is rated at 2.4 volts. 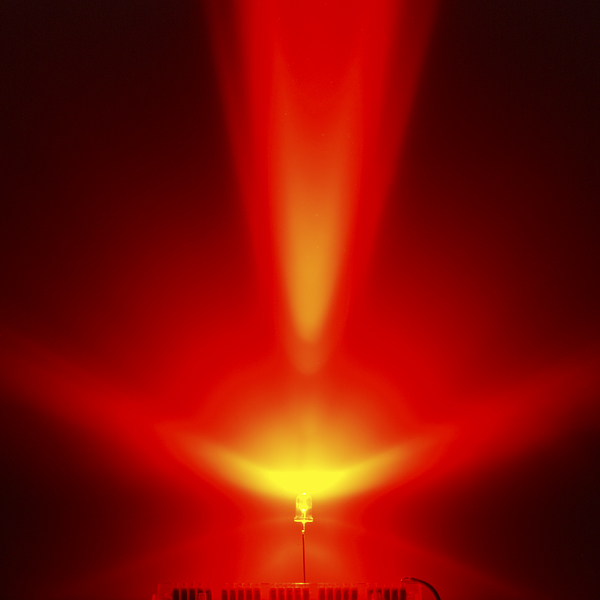 Red LEDs generally have a lower forward voltage, but more draw current. Just follow the datasheet, and you'll be ok. It has to do with the physical properties of silicon and how they are excited to emit light. I believe red is in the 2.0-2.4 range, next is green in the low threes, and blue in the mid 3 volt range. Every LED is different. Please do follow the datasheet. No idea. Different series maybe?